A very long time ago (September 2007), I cut back some Hoya carnosa plants at work. I think the reason was that some of the vines had reverted to solid green,1 though I cut the Hoyas back from time to time regardless if they didn't sell pretty quickly, because they got tangled and unmanageable if I didn't. Anyway. I'm not sure what the variety name was, but I've seen similar things sold as 'Exotica' and 'Krimson Princess,' so maybe it's one of those. 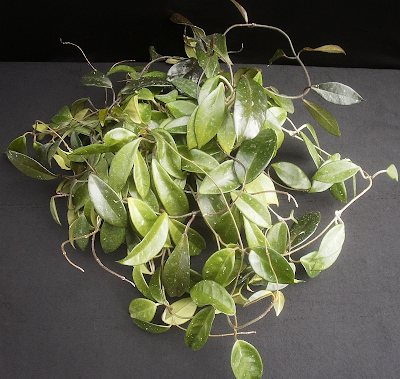 In any case, variegated Hoyas are prone to revert to solid green, and like with most plants that do that, the solid green shoots tend to be more vigorous. 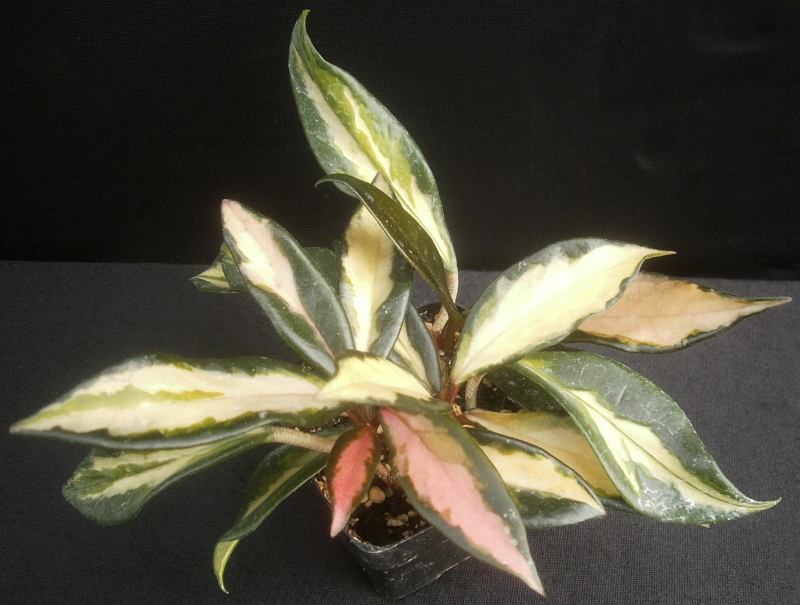 So if you find the variegation attractive, you need to remove the unvariegated parts when they appear, lest they take over. 2 Though there is a substantial variation in scent production over the course of a day. I could practically set our clocks by the H. lacunosa in my office, which starts producing substantial fragrance every day between about 9 and 9:30 PM. Some Hoyas allegedly don't get going until about midnight. The trouble is that I can't smell much of anything from this plant between 9 PM and midnight either. 3 I will not actually see Begonia blooms. At least not this year. 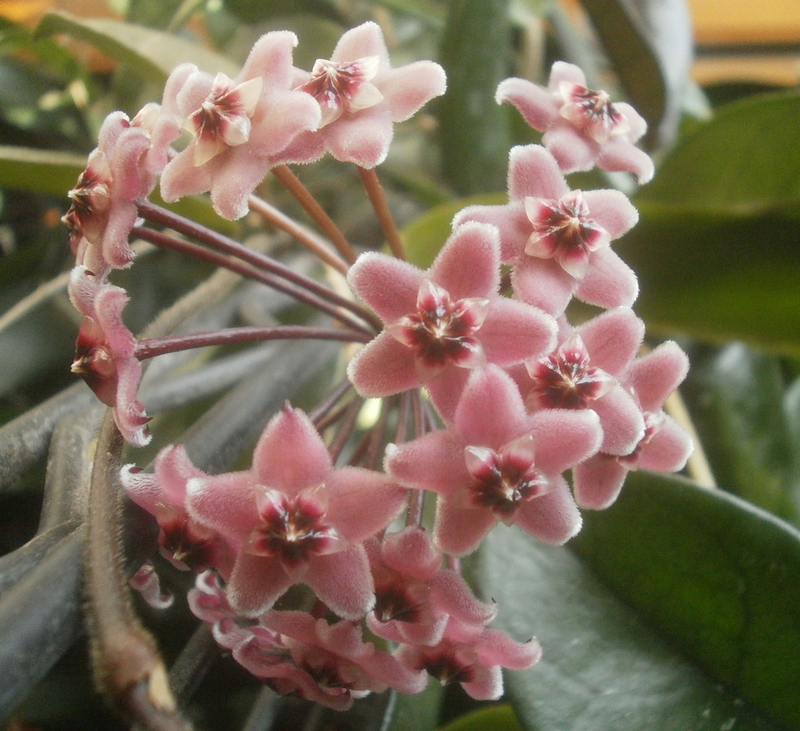 The reason why I don't get them is because I don't have enough light to offer the plants, which is probably also why it's taken so long to get flowers on the Hoya. The Phalaenopsis was probably more of a temperature problem, though inadequate light could have been an issue as well. I know, I know. Mr. Subjunctive, what happened? You were doing so well there for a while, a post every single day for like ten days in a row, and then suddenly you fall off the face of the Earth! So, you know. Stuff happens. Sometimes that stuff is blogging, and sometimes it's not. 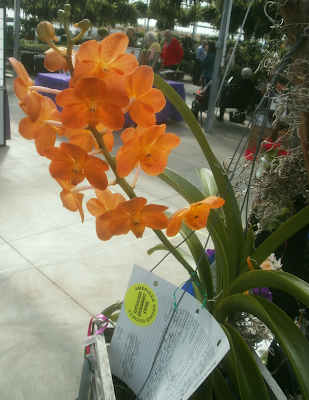 In any case, I'm fine, there will be blog posts again someday, and in the meantime we have an orchid. Tracking down the ancestry information on this one was a hassle. 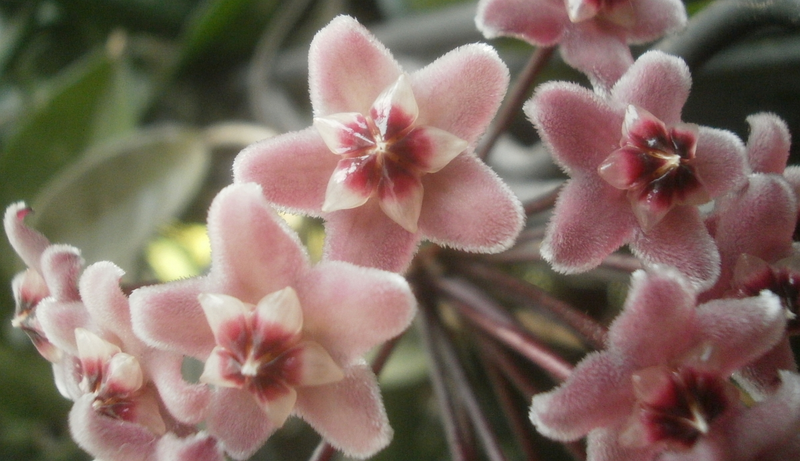 The actual plant's tag read "Doi Inanthond," and identified this as an Ascocenda. Google sent me through multiple combinations of letters (Inanthon, Inanthond, Inthanon, etc.) before I finally figured out that it was named for a mountain in Thailand, which led to confirmation from the orchid registry, who told me that it's not even an Ascocenda at the moment, technically, but a Vanda. So there was like one correct word on the tag out of three. In fact, I should probably just let tracking down the Doi Inthanon stuff be my excuse for not posting more.